UK and Ireland at night, ISS image. 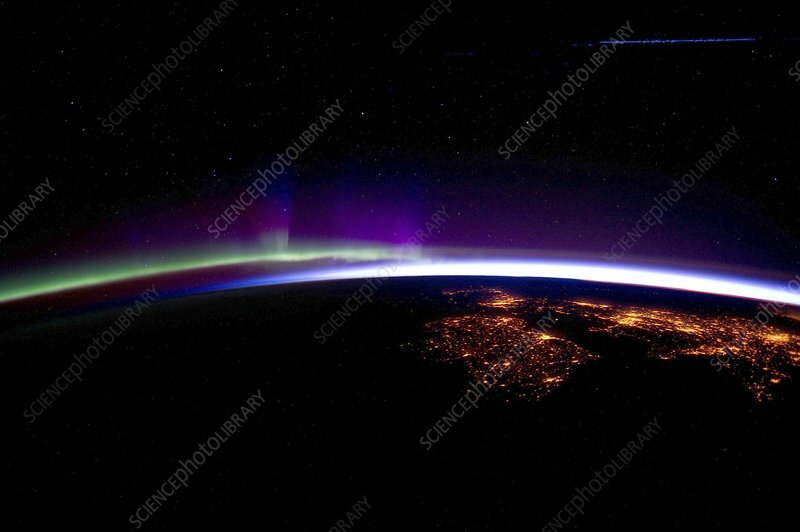 Photograph of UK and Ireland taken by astronauts aboard the International Space Station (ISS) at night. Street and building lights from cities and towns illuminate the land (lower right). Above the horizon the sun is about to rise and at left, the Aurora Borealis casts green and purple light. Photographed 28th March 2012.